Or Experience Them At An All-Breed Match? Today's MEET THE BREEDS program is like the drunken uncle no one in the family talks about because it is so out of sight as to be almost non-existent. Down the hallway, around the corner, up the steps, to your right, across the lobby, near the restaurant, in front of the elevators, beyond the restrooms, just left of the trash cans you’ll see this sign at most indoor dog shows, “MEET THE BREEDS”. Does anyone remember when we proudly met the breeds at the breed ring? Does anyone remember when it was just as important to MEET THE BREEDERS? Does anyone still remember the successful meet the breeds program that was once a local kennel club AKC sanctioned fun match? Recent events have prompted this article. While vetting names for the up and coming “EDUCATIONAL BASED THINK TANK” I received several emails from applicants who questioned the value of educational events given by clubs today. Others complained about the fact that their breed, their standard and history were not properly represented to the public. Most disturbing complaints were that new club members with little to no experience were selected (or allowed) to be in charge of the “Meet The Breeds” programs. A few emails actually came from new breed club members who complained about having to be put into this position. Those people recognized that one cannot teach what one does not know! The “Meet The Breeds” program was a well-meant but poorly thought out AKC concept. The problem with the “Meet The Breeds” program is that those who are able to properly educate, at a show, are not available to do so. The knowledgeable breeder who is actively showing their dogs has no time to sit in a room waiting for someone to show up with questions. They have spent years and enormous amounts of money in order to exhibit their breeding stock. Showing a dog leaves little time at that show to socialize with strangers in hidden rooms or spaces located away from the breed ring. Is that why most clubs hand the “Meet The Breeds” program over to the less active people in the fancy who are often the least experienced? Although these novices, often rescue volunteers, attempt to fulfill the task, many fall short. "They cannot teach that which they do not know”. In some cases “Meet The Breeds” becomes an embarrassment to club members and breeders. “Meet The Breeds” set-ups typically include hand-made posters for breeds that are not there, the volunteers' pet dogs, plus rescue dogs, rescue dog vendors with rescue snapshots, and AKC literature promoting pets and AKC events. How Do We Meet A Breed When The Breed Is Not There? The second problem with the “Meet The Breeds” concept is that people who follow signs or directions to "Meet The Breeds" expect to be able to SEE AND TOUCH THOSE BREEDS! At a show you will see spectators swarm the show rings with cameras in hand and questions in mind. They want to be part of the excitement. They want to ask their questions while watching a ring full of dogs strut their stuff. The spectator will learn more about a breed in three minutes ringside than they will in a half hour in an isolated room looking at literature, pictures and posters. Education should never be a side show, it should BE the show. That was the intent of a well run, All-Breeds dog club match. A match had something for everyone. A match was important to the seasoned show professional, the beginner novice and the afternoon spectator. Many of these types of matches, in their original format have all but disappeared. Luckily some still survive and with the recent promise of AKC help aid in their promotion, hopefully more All Breed Match Shows will come back. The Bald Eagle Kennel Club has been successful at that mission. They still hold one of the most beautiful, educational, accessible, and well run ALL BREED dog matches today. They coordinate with community leaders and businesses to provide an effective means of education to the public. Together with the Lycoming Mall, a focal point for the Pennsdale, Muncy, Williamsport and Lycoming County areas, the Bald Eagle Kennel Club offers a Sunday All Breed Match. 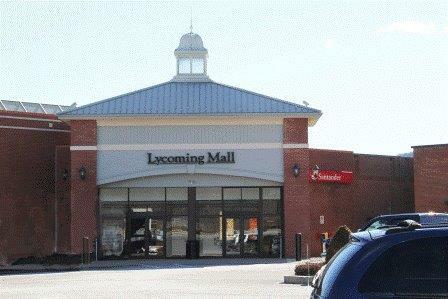 On one designated Sunday each year the Lycoming Mall graciously opens its doors to the Bald Eagle Kennel Club and the purebred dog community. The match is held at the Mall’s Center Court for shoppers and spectators to enjoy. Breeders are there socializing their new pups and training their show prospects and they have time to mingle with interested people throughout the day. Breeders and exhibitors know that the interaction with these shopping mall guests aids in important socialization of their young dogs. Club volunteers are there to explain the show process; tables of information are made available and everybody wins! This is education! This is how one experiences the breed and MEETS THE BREEDERS! It is good to see that someone in the American Kennel Club has recognized the value of the sanctioned match. It is good to see that AKC has begun to offer some support to breed clubs in the advertisement of these matches. I hope they do more to encourage our clubs to continue the tradition of the ALL BREED dog club match. Perhaps the AKC will put their current obsession with mixed breed dogs aside and concentrate promoting purebred dogs as the reason the American Kennel Club was formed. It is time to Meet The Breeds, in public, at an ALL BREED AKC dog match! The BALD EAGLE KENNEL CLUB MATCH was Sunday, March 6th at the Lycoming Mall, Muncy PA. We hope you were able to make it this year. For more information on the match or ideas on how to make your match a focal point of your community contact THE BALD EAGLE KENNEL CLUB, MATCH SECRETARY, ROXANNE MILLER at 570-588-0508.